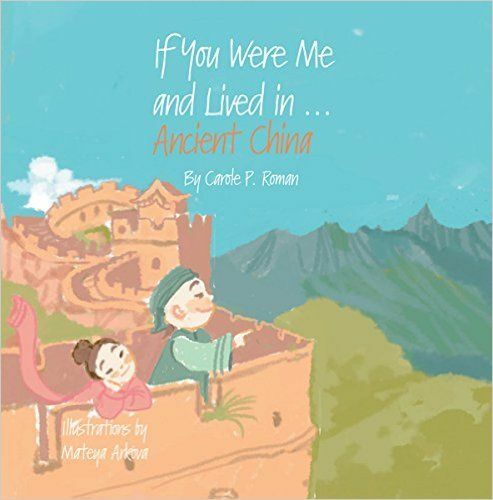 If You Were Me and Lived in.. series, brought to you by Carole P. Roman and Awaywegomedia.com, has made our study of history all the more enjoyable. 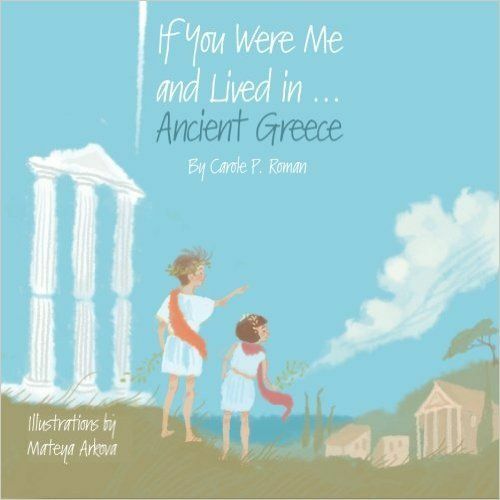 If You Were Me and Lived in...Ancient Greece (An Introduction to Civilizations Throughout Time) (Volume 1) and If You Were Me and Lived in... Elizabethan England (An Introduction to Civilizations Throughout Time) (Volume 3) among others. I enjoy learning about Ancient History much more than just the recent past. 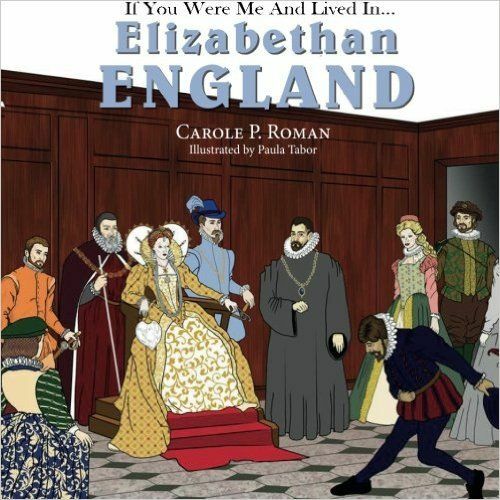 The Elizabethan Age is considered the time after the Middle Ages, when Elizabeth I was Queen of England. It was a great time for art and literature as well, a part of history I really love to focus on when we study. I like how this book gives suggestions to the reader on how their life may have been like if they had grown up at this time. Perhaps being named Mary or Henry, and an apprentice baker in the family business. 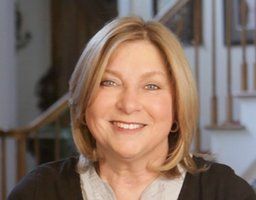 Focusing on more of the middle, or lower class, Carole P. Roman takes the reader step by step of how they would have lived during this time. I found this really very interesting, and gave me a great gratitude for the life I live now! My kids always tend to love hearing stories about the times of Kings and Queens, often their play will even mimic what we read. Some fun facts I learned were that some houses were made in the shape of an E to honor Queen Elizabeth. Also nobody drank water! They drank ale and cider. I thought that was interesting. They also didn't use forks, which really made my kids want to recreate that portion of the story! The end of the book has a section titled Important People to Know in the Elizabethan Era. It has a illustration and a paragraph of eight important people during that time. If You Were Me and Lived in ... Ancient China had Mateya Arkova from Bulgaria as it's illustrator. I really loved the pastel illustrations she had for this book. This and the next one we reviewed were both illustrated by her and really added to the adventure. So Ancient China was nineteen hundred years ago, or around 150 A.D. The Han Dynasty was the longest dynasty, lasting four hundred years. During this time, paper, porcelain were invented. This book has the reader as a child of a doctor to the emperor, so a little more on the upper class level than the Elizabethan book was. Many of the homes were very similar though, just larger the wealthier you were. There was ancestor worship in Ancient China and part of their home was set up as a shrine to that. Kitchens were typically in another building next to the house. I loved how the book talked about silk being made, and this gave us a good jumping off point to dig a little deeper into the making of silk currently. This is a very good sized book at 64 pages for the story. It also has a glossary and a couple pages about important people in Ancient China. The last book we reviewed in the series was If You Were Me and Lived in... Ancient Greece. Athens is one of the oldest cities still inhabited today. Ancient Greece time frame was prior to the birth of Christ, and is called the Classical Period. The Greeks did worship many gods, and this is where we get our Greek Mythology from. I found it interesting that the Greeks didn't have a word for family like ours, instead it was "oikos" which means household. Doesn't sound like they were as tight knit does it? Ancient Greece was divided into several cities that the people identified with more than being from Greece. The book looks at a few of these cities and explains what it would have been like to live in them. The end of the book has a section on the gods and goddesses of Ancient Greece as well as a glossary. These books are an excellent addition to your history study, to help your student really get a grasp for what it would be like if they actually lived there during this time period. Great spring boards for additional study as well. Click the banner below to see what other books are in this series and see what our reviewers thought!